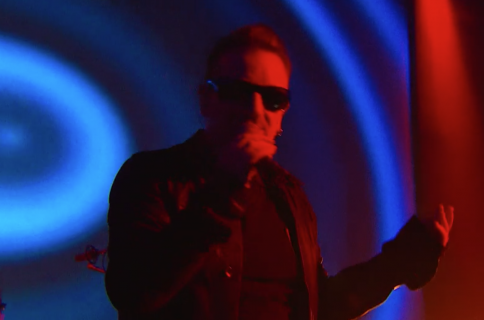 Paul David Hewson aka Bono Vox (also known by his stage name Bono), the frontman of the Dublin-based rock band U2, revealed that Apple now has an astounding 885 million iTunes accounts in an interview Monday with Dave Fanning on the Irish radio station 2FM. Moreover, he shed more light on the rumored new music format designed to revitalize stagnant digital downloads. The 54-year-old rocker also said he complained to Apple’s late co-founder Steve Jobs five years ago that the iTunes application “looks like a spreadsheet” and more. 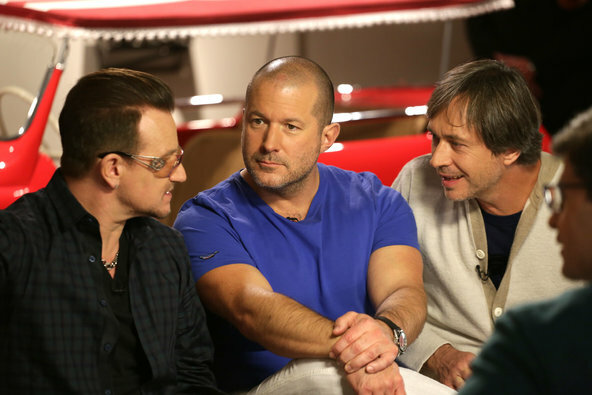 Apple now has 885 million iTunes accounts, Bono told Fanning, adding that “we’re going to help them get that number to a billion,” without elaborating further. To put that figure in context, Apple CEO Tim Cook said during an earnings conference with analysts in April that his company had 800 million iTunes accounts. If true, Apple’s been adding new accounts at an average clip of more than half a million new ones daily. More interesting than that is Bono’s recount of a chat with Steve Jobs five years ago about the state of the digital music sales, the iTunes software and the need for a new music format for the 21st century. Steve apparently wasn’t happy — “that was before they managed to even get a full screen photograph up,” said Bono — but eventually relented and agreed to working on this together. 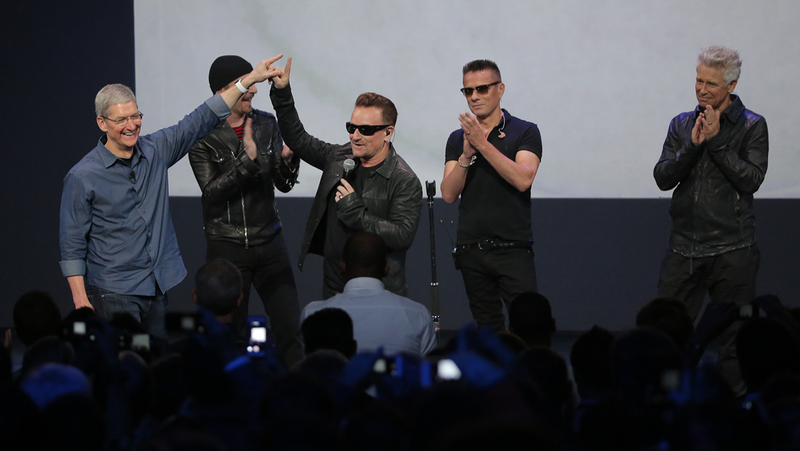 Bono, U2 and the team at Apple have since been at work on the new music format that should be ready for “Songs of Experience”, the band’s next album. The musician also posed the following concerns regarding the standard digital music format which he deemed inadequate and quite lacking. But to really break this open, why can’t we see what we’re looking at. Why can’t we dip into artwork. like we used to? Why can’t I use my phone or my iPad to disappear into a world created by artists with photography? If we want to listen to Miles Davis in a silent way, why can’t we have the photographs of Herman Leonard playing in the background while we do it? Or, with another click find out what mood he was in when he made that? Or with lyrics, why can’t we read Bob Dylan’s lyrics while we’re listening to his music at a certain point in time? Calling it a “very exciting” development, Bono said that even though the new format is not meant to kill the commonly used MP3, it should take the music listening experience to the next level. It’s a new format, and you can still get the Mp3 format, and you can rob it or whatever you want but you won’t be getting the full experience. It’d be like you walking down the streets in Dublin in the 70s with a copy of the Rolling Stones album Sticky Fingers; just the vinyl, and not the Andy Warhol designed sleeve. You wouldn’t feel like like you had the proper package. Apple’s iTunes LP format on iTunes does allow for interactive album artwork so users can view multimedia elements alongside the music, browse PDF booklets and more. Bono did not say whether the know-how and the creative forces that Apple has acquired as part of its $3 billion Beats buy are in any way engaged in the development of the new music format. As for the forced free download of U2’s new album “Songs of Innocence”, Bono said that critics are missing the big picture, remarking jokingly that “no one has deleted more U2 songs in the last 5 years than the four members of U2”. Apple in a statement said that over 33 million iTunes account holders have accessed the album since the promotion launched.